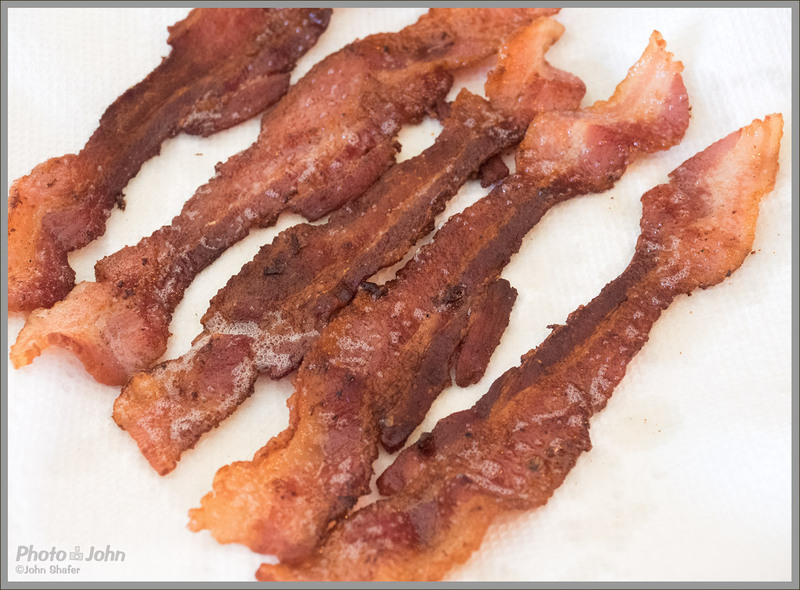 Delicious bacon, draining on a piece of paper towel. 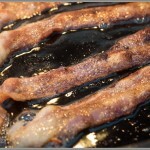 Bacon, frying in an iron skillet. 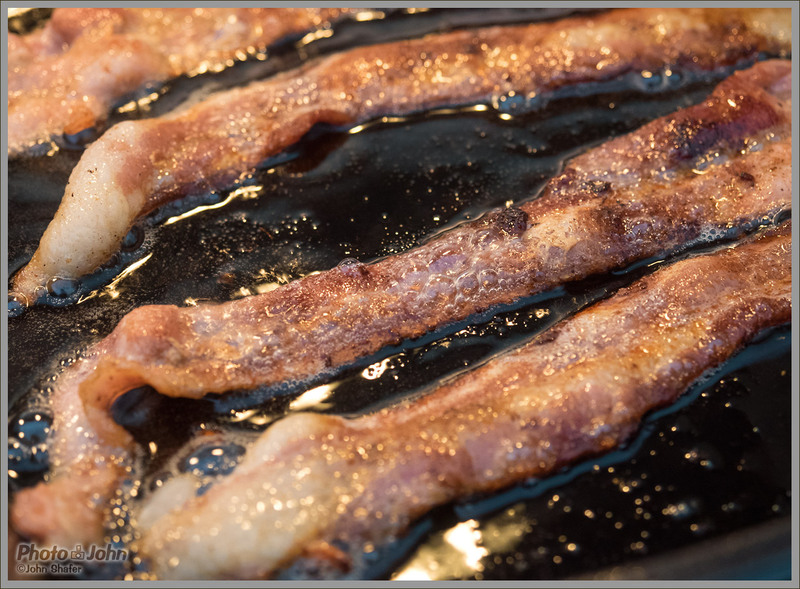 Can you hear the sizzle? 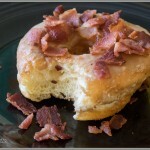 A maple donut topped with home-cooked Burger's Smokehouse maple bacon. 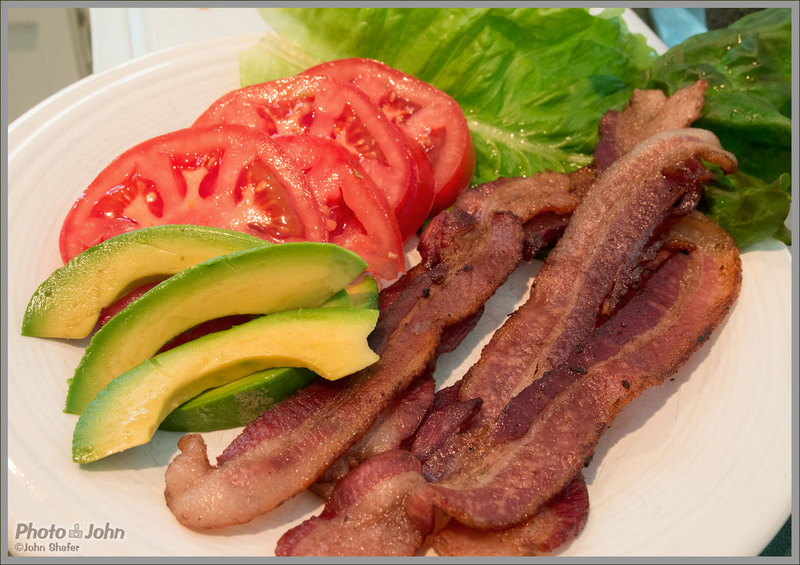 Bacon, and the rest of the components of a BLTA sandwich. 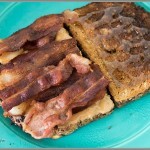 A peanut butter, bacon and honey on toast sandwich, in progress. 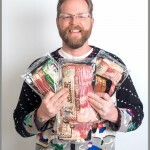 Photo-John, with a gift of Christmas bacon from Burger's Smokehouse, courtesy of Photo-Mom. 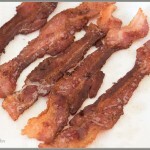 Anyone that knows me knows that I love bacon. I don’t eat nearly as much meat candy as people think I do. But I definitely do love it. 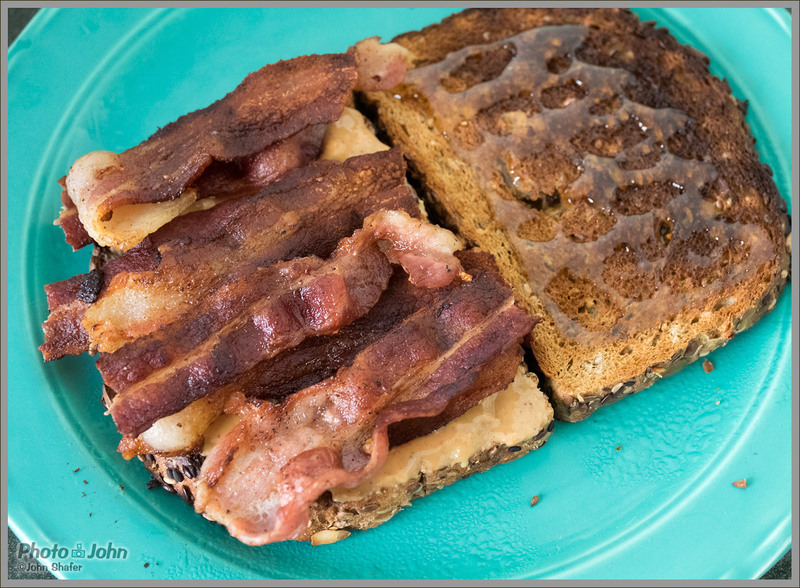 So in the spirit of my new Web site, which is for whatever I want it to be for, here’s a post that’s pretty much nothing but photos of bacon. 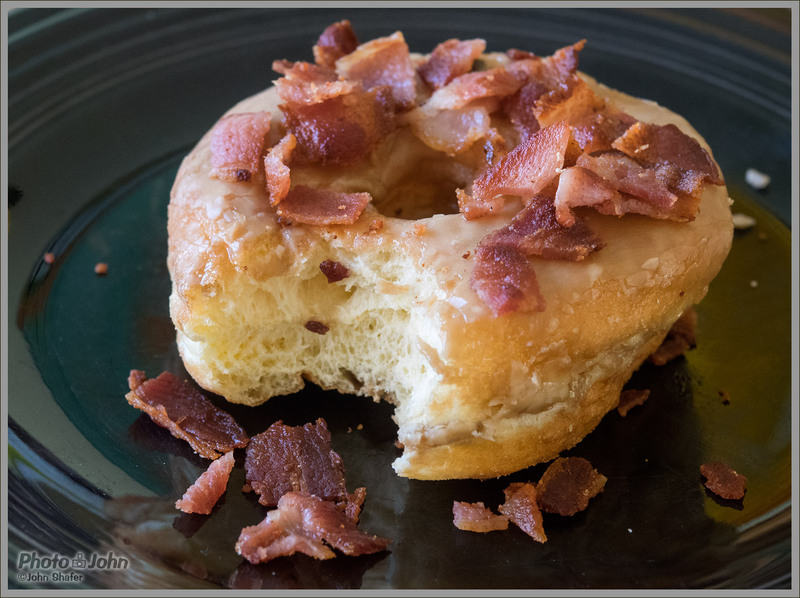 A maple donut topped with home-cooked Burger’s Smokehouse maple bacon. 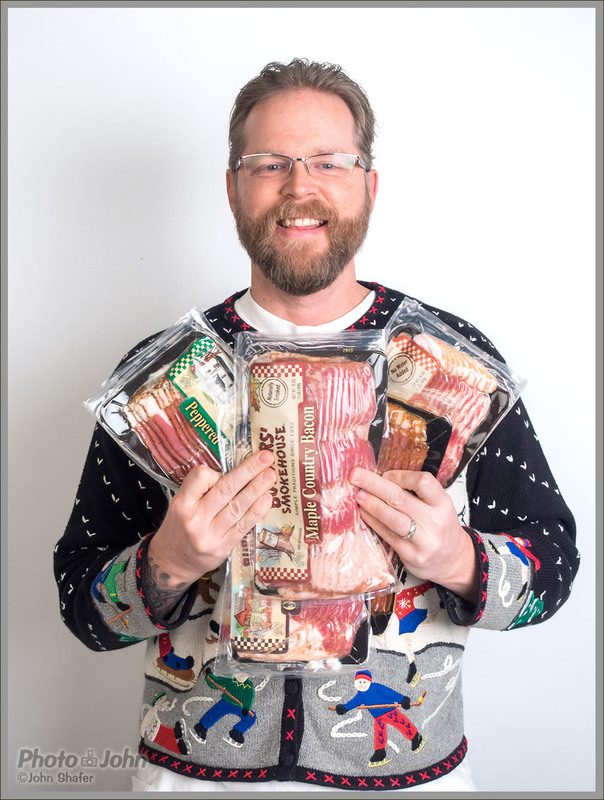 Photo-John, with a gift of Christmas bacon from Burger’s Smokehouse, courtesy of Photo-Mom. 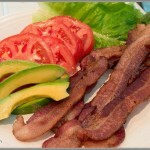 Love bacon. Love you for reminding me about that.